Delhi Government is inviting all Indian candidates for various job profiles. Delhi Government Recruitment department is inviting Govt job Applications for the empanelment of staff for the Aam Aadmi Mohalla Clinics. There are total 600 vacancies which are going to filling up through this recruitment process. So those who are looking for Government jobs in Delhi can apply for this recruitment process. 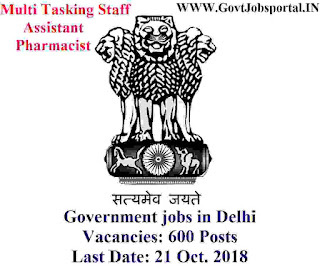 Various Job profile which are going to filling up are the “ Multi-Tasking Satff, Pharmacist, Mohalla Clinic Assistant”. All these job profiles are going to filled up through this recruitment process 2018. More information such as the eligibility conditions and other information is given inside this article below. We took this information from the PDF file which was shared by the department on the following website: “http://delhi.gov.in”. Inside this website they shared a PDF file which contains completed information related to this Delhi Government recruitment process. We also share the complete detail below in this article. Read the complete article carefully before applying online. 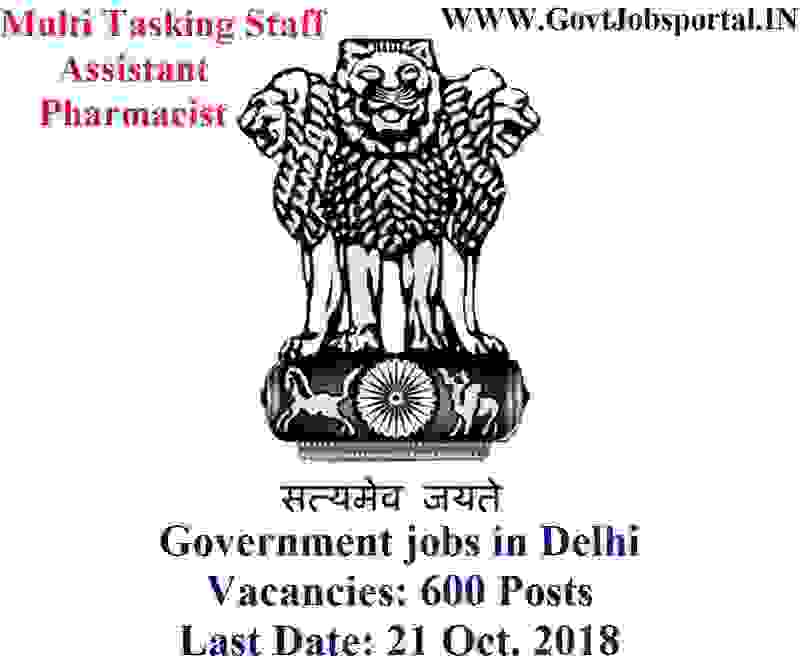 Education: Those who have a Diploma in Pharmacy or Bachelor of Pharmacy can apply for these Govt jobs in Delhi. Age Bond: Applicants age must be in between 20 years to 50 years for applying. Education: Applicants who have completed Auxiliary Nursing Midwifery(ANM) course are eligible. Registration with Delhi Nursing Council. Age Bond: Must have age in between 20 years to 50 years. Education: All candidates who have passed in their 10th class examination and have First aid training certificate from St John Ambulance Brigade can apply. Age Bond: Those who have age in between 18 years to 35 years are eligible for these job profiles. Applicants who satisfied all the eligibility conditions which we explained above in this article and also interested in these Government jobs in Delhi can apply online. The link is active to apply online now. This link will remain activated up to 21st Oct. 2018 for applying. So those who are interested in these Government jobs in Delhi have to apply online before this date. After this no application will be accepted by the department. There is no other way for applying this recruitment process 2018. 21ST Oct. 2018 is the Last date to apply.